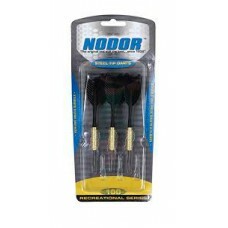 • 3D16” tips (6) • Gunmetal finish barrels (3)• Aluminum shafts (6) • Embossed foil flight..
3D16” tips (6) • Tungsteel™ plated, center knurled barrels (3) • Striped aluminum sh..
• 3D16” tips (6) • Knurled brass barrels (3) • Nylon shafts (6) • Poly flights (3)&nb..
• 3D16” tips (6) • Metallic finish barrels (3) • Nylon shafts (3) • 2D flights (3)..
• Striped brass barrels (3) • Aluminum shafts (3) • 2D flights (6) • Knurled barrels ..
STA450 steel dart set from Nodor®. 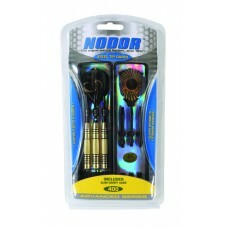 This set of three steel tipped darts have painted brass barrels w..
STP1000 steel dart set from Nodor®. 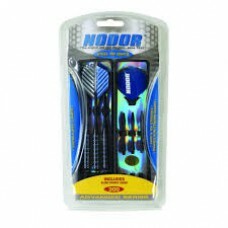 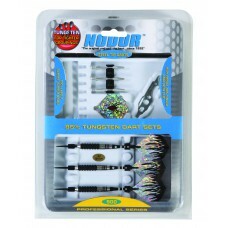 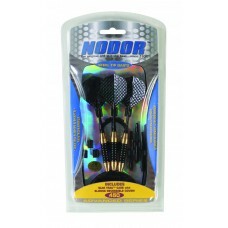 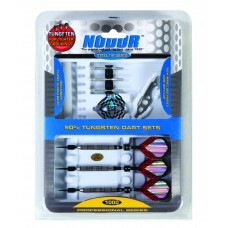 This set of three steel tipped darts have 90% tungsten barrels a..
STP900 steel dart set from Nodor®. 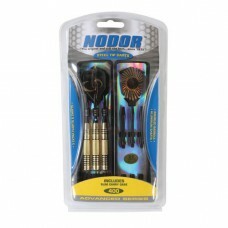 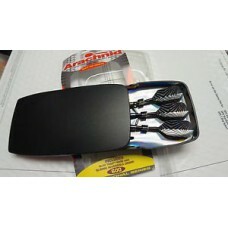 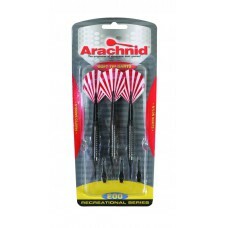 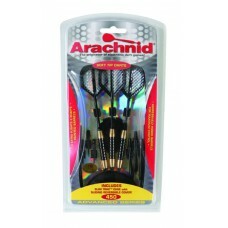 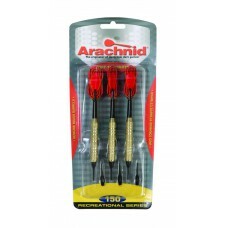 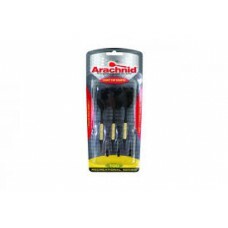 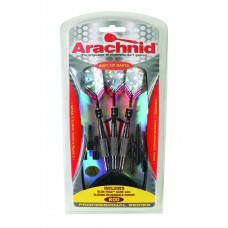 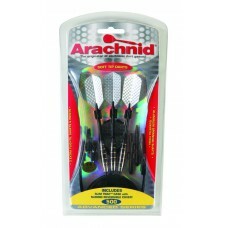 This set of three steel tipped darts have 85% tungsten barrels an..